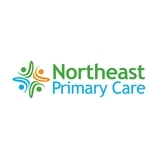 Northeast Primary Care Physicians (Mineola) - Book Appointment Online! Always a great experience ?? Excellent staff and doctor! Dr. Barasch was extremely thorough with my exam and took the time to listen to all of my concerns. Would highly recommend her! Dr. Ramsaroop is very pleasant and has great bedside manners. She takes her time and ensures she has answer all your questions and concern. I had a great experience.